At Law Advocate Group, LLP, we can help you to find a knowledgeable Los Angeles Business Contract Attorney, capable of counseling and representing you as needed, and ensuring that your interests are protected. If you run a business, you understand that the stakes are high. Tremendously high. With all of the laws, codes, and regulations on the books, it can be difficult for even the most diligent of entrepreneurs to stay on top of everything, contractually speaking. Even with the proper paperwork in place businesses face legal disputes every single day in America, but how can you protect your business’s best interests and direct your focus back on what matters most? Law Advocate Group, LLP has the expertise to guide you through the tricky loopholes many contracts contain. With 80 years in combined business law experience, Law Advocate Group, LLP has a solid stable of talented and knowledgeable Los Angeles Business Contract Attorneys on hand and ready to assist you immediately. 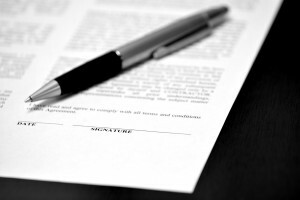 With any form of business comes the introduction of some type of formal agreement on paper. Formal Agreements are written up to protect all parties involved and is a binding contract defining the exact responsibilities and duties of all involved. 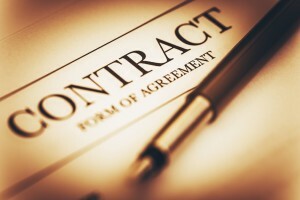 When one person or persons fails to comply with the decided upon agreement or reveals that they have no intention or means to withhold their part of the agreement, then that becomes a Breach of Contract situation, and it is time for a capable Los Angeles Business Contract Attorney to intervene. There are few things more devastating or disheartening in business dealings than having contractual disputes. Throughout the years the subject of business contracts has become much more complicated. Which if you’re reading this, you may already be aware of that. It is essential that you have sound legal representation if you feel like you’ve fallen victim to an unlawful breach of contract and need to take further action. Law Advocate Group, LLP based in Beverly Hills California has a talented staff of Los Angeles Business Contract Attorneys on hand and ready to hear your claim. Law Advocate Group, LLP is simply a phone call away. In situations like these, time is a huge factor. You should act immediately to secure professional and sound Breach of Contract legal representation. The faster you act, the closer you are to a resolution before time complicates matters worse. If you feel that you were unfairly treated, or if you think your person or business is facing legal trouble due to Breach of Contract issues, please contact one of Law Advocate Group’s highly skilled Los Angeles Business Contract Lawyers today for further assistance. There are many good reasons to choose Law Advocate Group, LLP, when you need a qualified business contract attorney in Los Angeles, and here are just a few. Our team of top-notch attorneys boast nearly a century of combined experience in business contract litigation. Not only do we understand the laws, but we understand the Los Angeles marketplace better than anyone else. We proudly serve Los Angeles, Beverly Hills, Santa Monica, and all of the greater Los Angeles area, and we know the landscape well enough to navigate the most complex codes and regulations as they pertain to the local market. Our attorneys have won some of the top legal awards in the business, and have received stellar reviews from peers, customers, and governing bodies alike. Get in touch with us to learn more about the many prestigious commendations and testimonials that we have received, and see for yourself why Law Advocate Group, LLP, remains the leading business contract litigation firm in the Los Angeles area. We combine knowledge and experience with an aggressive approach to ensure the optimal outcome with our clients. Not only do we understand the process, but we fight tooth-and-nail for our clients, often when others won’t. Business contract litigation is a tough game, and you need an ally who is willing to fight tirelessly on your behalf. That’s where we come in. When you need the best Los Angeles business Contract Attorney, you won’t do better than Law Advocate Group, LLP. Ready to get started? Our experts look forward to meeting you. We are conveniently located in Beverly Hills, and we proudly serve clients all across the greater Los Angeles area and throughout Southern California. Contact us on our site today, or give us a call at (855) 598-3258, and get in touch with one of our knowledgeable Los Angeles Business Contract Attorneys. Don’t leave your legal fate to chance. Get an expert team on your side, and restore your peace of mind!